Got Enough for Your Education Bills? The Ohio Board of Regents provides a vast array of information and services for college-bound students within the state. Through its dedicated website, the board helps Ohio’s students plan for college, and find the financial aid necessary to make their dreams of a higher education become a reality. In addition to helping students apply for Federal financial aid, the Ohio Board of Regents administers a wide range of state sponsored grants and scholarships for residents of the Buckeye State. 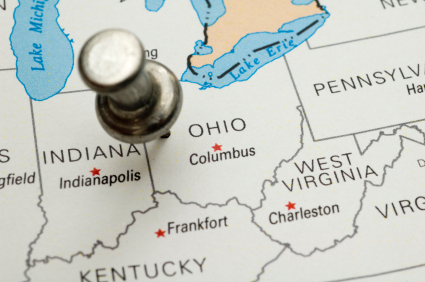 College-bound students in Ohio will find that the Board of Regents supports both general, and career specific, grants and scholarships for state residents seeking financial assistance to help pay for their college education. These programs are designed to put higher education in reach of students who may not otherwise have the opportunity to pursue their college goals. Students wishing to apply for any state sponsored scholarship or grant from the sate of Ohio will first need to fill out and submit the Free Application for Federal Student Aid. The FAFSA is used by both federal and state governments to determine a student’s eligibility for financial aid. Once the FAFSA is completed, and students have received their Student Aid Report , they can begin the process of applying for federal and state sponsored financial aid programs. The state of Ohio supports a number of valuable grant and scholarship programs for its resident students. These awards may be determined by need, merit, or a combination of both. The following selection will give college-bound students in Ohio a better idea of the state sponsored financial aid programs for which they may be eligible. The Choose Ohio First Scholarship is designed to recruit and retain talented students in the high demand fields of Science, Technology, Engineering and Mathematics. Ohio students pursuing their degrees in a STEM related discipline are eligible for scholarship awards ranging from $1500 to $4700 per student, per academic year. Scholarship awards are determined by academic achievement and financial need. The Ohio College Opportunity Grant provides assistance to those students who demonstrate the highest level of financial need. Eligible students must have an Expected Family Contribution of less than $2190, and must have an annual family income that falls below $75,000. Eligible students must be pursuing a degree at a participating Ohio public or private university. Award amounts vary according to financial need, and college of attendance. The Ohio Regents Graduate/Professional Fellowship Program provides up to $3200 per academic year to students pursuing graduate, or professional, degree courses at a participating Ohio college or university. Eligible students must be pursuing their graduate/professional studies immediately upon receiving their Bachelors degree. Ohio, like many states, makes provision for certain specialized grants and scholarships to address specific needs within the community. These may target certain groups of the state population, or may provide incentive for students to pursue specific career paths. The Ohio Board of Regents supports a variety of these specialized financial aid programs. The following examples illustrate the further funding opportunities available to Ohio residents looking to secure financial aid for their college education. The Ohio EPA Scholarhip is a merit-based, nonrenewable scholarships for undergraduate students admitted to Ohio state or private colleges and universities studying in fields specializing in environmental science or environmental engineering. The student must be in teh final year of the program by the autumn term. The Ohio War Orphans Scholarship provides financial assistance to the dependents of deceased or disabled Ohio veterans who served in the military during a time of war. Eligible students must be enrolled full time at an accredited Ohio college or university. The scholarship awards up to 93% of total tuition costs for students attending a public college. Students enrolled in a private college or university are eligible for up to $5,575 in award money. The Ohio Safety Officers College Memorial Fund provides financial aid to the children and spouses of police officers and fire fighters who have been killed in the line of duty. To be eligible for funding, students must be enrolled in a participating public Ohio college or university. Award amounts vary depending on financial need, student status and choice of college. The Nurses Student Loan Assistance Program is designed to help train, and retain, qualified nurses and nursing educators within the state of Ohio. The program provides loan assistance to students enrolled in a pre-licensure nursing program at an accredited Ohio college or university. Loan amounts are currently set at $1500 per academic year. Students who commit to serve as full-time nurses, or nursing instructors, for a minimum of five years within the state may qualify for full, or partial, loan forgiveness. Priority is given to those students who demonstrate the highest level of financial need. This is only a sampling of the financial aid programs available to Ohio’s college-bound residents. The Ohio Board of Regents’ dedicated website also provides valuable information on grant and scholarship programs supported by individual colleges and universities within the state, as well as information on education costs, college savings plans, and other forms of financial aid available to the students of Ohio.